Our range of products include spiral mixer, bakery spiral mixer, food spiral mixer, spiral mixer msp, automatic lifter spiral mixer and removable bowl spiral mixer. We provide wide quality range of Spiral Mixer to our clients. The Spiral Mixer that we offer is made up of superior quality raw material which we buy from our trusted and reliable sources in this domain. 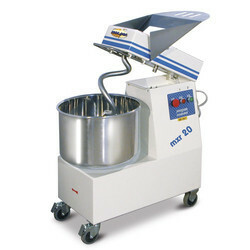 This mixer is used for heavy duty mixing in the kitchens of many hotels and restaurants. Ours is an illustrious organization that is involved in manufacturing, supplying and exporting Bakery Spiral Mixer. All our products are provided to customers in various models, sizes and specifications at most competitive prices. Furthermore, our professionals help us in customizing all the products as per clients’ given specifications. 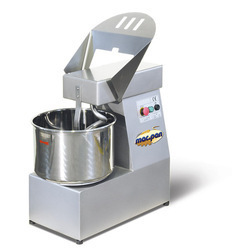 With an aim to stand tall on the expectations of our esteemed clients, we are offering Food Spiral Mixer. These are widely used in food processing industries and household kitchen for executing various food processing applications. Apart from this, these products are available at the most comprehensive and market-leading price range. A robust, strong and silent unit for modern bread-making. Completely built in thick stamped steel. Precise an simple mechanical construction ensures maximum durability and minimum maintenance. Belt transmission makes this unit the most silent of its type. 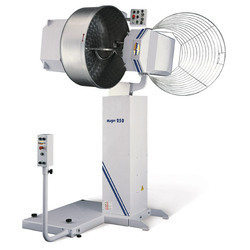 The special spiral form and the speed of rotation of the spiral synchronized with the rotation speed of the bowl not only amalgamates dough in a few minutes but also gives more volume and aerates dough. in the manual cycle, speed change from first to second is carried out with push-buttons. in the automatic cycle, once working times are programmed speed change is automatic. 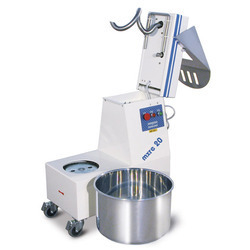 Bowl rotates in both directions mixing ingredients perfectly and is ideal for small quantities of dough. Control panel in low tension is placed on front of mixer with all push-buttons controls for manual and automatic cycles and for rotation inversion of bowl. Leveraging on ultramodern infrastructure facilities and determined staff members, we are able to provide an exclusive gamut of Automatic Lifter Spiral Mixer. It is widely used item in bakery for mixing dough ingredients of pizzas. Our offered mixer is well manufactured with top grade steel in line with set industry standards under the observation of quality experts. Widely commended for its reliable performance, and long service life, our Spiral Mixer is high on demand in the market. The body of the mixer is made of steel, the central tool, spiral arm and protective grid and bowl are all in stainless steel. 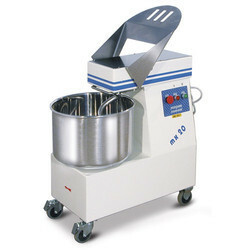 This type of mixture is suitable for bakeries and cake shops and allows for shorter working times to be obtained. The work cycle can be manual or automatic with 2 speeds, both having programmable timers. It is also possible to change the rotation of the bowl during the automatic cycle. 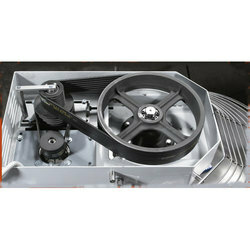 Belt drives eliminate vibration and noise: this system gives a considerable saving in maintenance costs. The low voltage electrical system (24 volts) has an automatic protection system with a very simple control panel for use in automatic or manual mode. 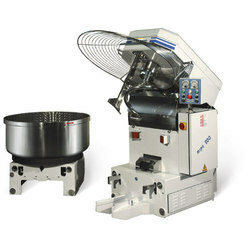 The automatic spiral mixer with removable bowl is equipped with automatic lifting and coupling. The drive of the bowl eliminates noise and maintenance. The mixer's two speeds enable the user to obtain a mixture which is well blended and of a high quality. 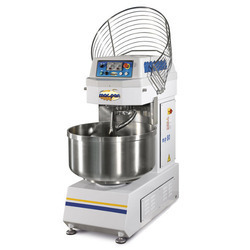 The body of the mixer is made of heavy duty coated steel. Possible combination with tilting device. The mixer complies with the latest CE regulations. Extra bowl for automatic spiral mixer. 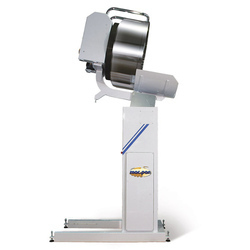 The tilting lifter (RCEB/RCET) for the removable bowl (CS) saves the operator time and effort when removing the dough from the bowl. Thanks to the oil-hydraulic system, all operations can be carried out safely and silently. 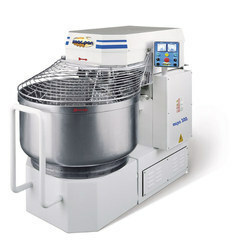 Model MSP JET/TS reinforced machine for mixing dough with a low percentage of liquid. it features a special drive to reduce stress and a large spiral. Looking for Spiral Mixers ?